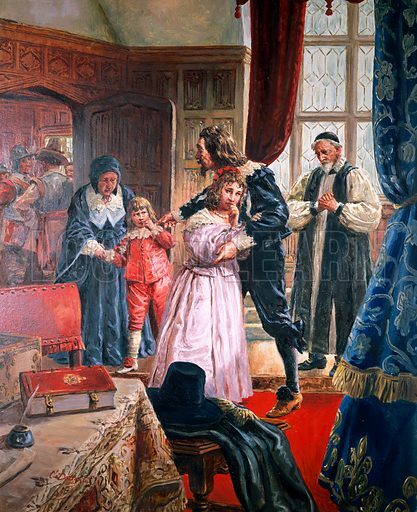 A Pageant of Kings: Charles I -- The Martyr King. The day before his execution, Charles was permitted to see his children for one last time. "I have forgiven my enemies," he told them, "and I command all of you to forgive them also." Original artwork for illustration on p18 of Look and Learn issue no 141. Scanned from transparency. Available worldwide for immediate download up to 4,464 x 5,486 pixels.